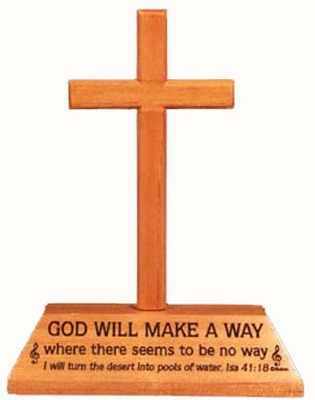 With laser engraved wording "God will make a way where there seems to be no way. I will turn the desert into pools of water. Isa 41:18"